Océ ? Printing Future. The new visual identity of Océ, a Canon company with expertise in printing technology, is part of their growth strategy, capturing their innovative approach to their business, creating new market areas beyond the traditional world of offices and repro. ‘Fluid Dynamics’ from Océ is a new customized printing solution aimed at new markets such as home decoration, textiles, fashion, packaging, art and education and maybe even the health care industry. The new Océ identity expresses this ‘fluid dynamic’ with their logo mimicking a printer’s jetting head in motion. The motion logo combined with the Océ’s brand promise ‘Printing Future’ captures the bold and curiosity-boosting story of this disruptive tech-player. 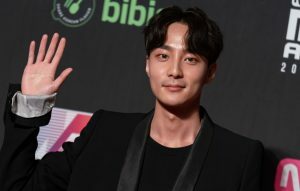 The post K-pop singer Roy Kim charged with sharing an obscene photo appeared first on NME.